A few years ago, not a lot of people were concerned about the safety levels of the cookware they use in the kitchen. 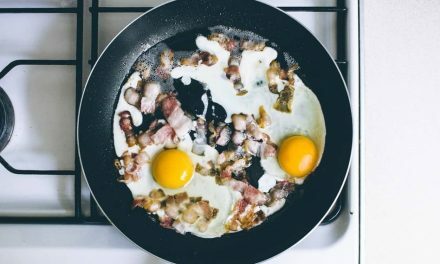 It was almost unthought-of that your handy Teflon pan could actually be leeching harmful chemicals in the food you cook, and pose a health risk for your family. 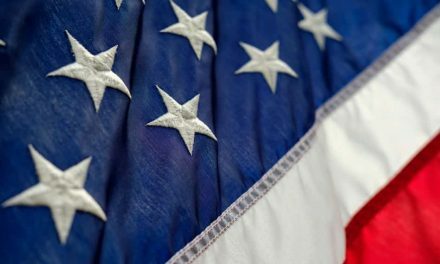 But recently, the newfound rise in awareness around the globe has sparked discussions in cookware safety. A lot more people are doing their research on what sort of materials are used in making pots and pans before actually making a purchase. Selected materials are confidently placed in the safe category after a lot of research. One of these materials is ceramic. Ceramic cookware comes with the safety of a non-reactive ceramic layer with the ease of non-stick cooking. 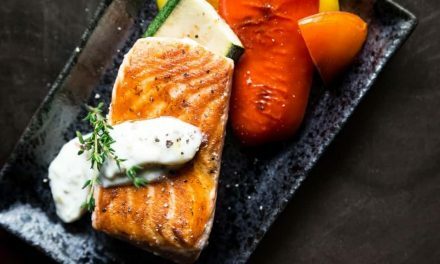 This is why it’s becoming the number one choice for health-conscious home cooks as well as seasoned chefs. If you are someone who is willing to invest in ceramic cookware for your kitchen, you would have to watch out for high-quality products that can give you longevity as well as taste, as poor-quality ceramic cookware can be difficult to maintain. To help you make your decision, I have made a list of four of my favorite options for best ceramic cookware for the gas stove. 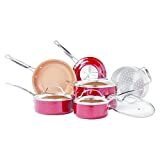 I am partial towards good looking cookware so I might be a little biased when I say the WearEver ceramic nonstick set in red is one of the best ceramic cookware sets available for the gas stove. But thankfully, the amazing features it comes with totally justify my claim! The 15-piece set comes with 1, 2, 3- and 5-quart cooking pots. The 3-quart pot comes with a steamer insert so you can cook some delicious steamed foods without the need for investing separately in a steamer pot. The set also contains 8, 10.5 and 12-inch skillets, and a 10.5-inch saucepan. The lid for the 3-quart pan also fits the 8-inch skillet and the 10.5-inch skillet and saucepan also share the same lid. The high-quality ceramic coating is free from harmful chemicals such as PTFE, PFOA and Cadmium. The non-stick interior allows cooking with small amounts of oil a breeze, making it a fitness-friendly cookware option. The silicone handles stay cool whilst cooking and have a comfortable secure grip. The cookware is heat resistant up to 750 degrees Fahrenheit so you can use it to sear your food at high temperatures. The silicone handles are heat resistant up to 350 making it safe to use in the oven. It’s dishwasher safe too. The pots and pans are made with heavy-gauge aluminum which makes the set durable as well as helps in quick and even heat-up. The interior can resist stains and scratches, but you should not use metal utensils when using this cookware set to preserve the ceramic layer. The set comes with a 10-year limited warranty. The Cook n Home Nonstick Ceramic Cookware set comes in two delicious colors: berry red and avocado green. The 10-piece set includes 1- and 2-quart saucepans, a 3-quart casserole pot and a 5-quart Dutch oven, all with corresponding glass lids. The set also consists of two sauté fry pans: an 8-inch one and a 9.5 inch one. The lids for the pots can also fit on the fry pans, so you can change them interchangeably if required. The core material used in the construction is thick gauge aluminum that provides even heat conduction and prevents hot spots from burning your food. The nonstick ceramic coating makes cooking easy with little or no fat and also allows for easy cleanup. The ceramic coating is free from PTFR, PFOA, Cadmium and Lead. The handles stay cool during cooking to keep your manicure safe and intact! 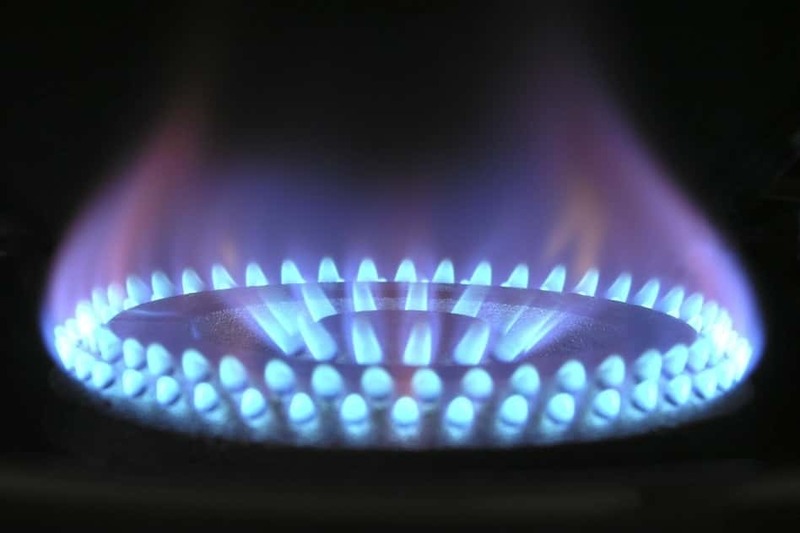 Although it is one of the best ceramic cookware options for gas stoves, it can also be used on electric, glass, ceramic and halogen stovetops. Sadly, it isn’t appropriate for use on induction stovetops. It isn’t dishwasher or oven-safe as well but is extremely reasonably priced and is perfect for someone who is looking to cook small delicious meals rather than heavy lavish feasts. The GreenLife Ceramic nonstick cookware set comes in a variety of different colors. My favourite option is turquoise since I love pastels. The sixteen-piece set includes a cute 4-inch mini fry pan, a 7-inch fry pan, a 9.5-inch fry pan, 1, 2, 2.5-quart saucepans, a 5-quart covered stockpot, a 2.5-quart covered sauté pan, a 7-inch stainless steel steamer insert and 4 non-stick utensils to safely use with the cookware. The pots and pans are made of thermalon ceramic nonstick which is free of PFOA, PFAS, lead or cadmium. Even if you cook food at high temperatures, no toxic fumes will be released. The handles are soft to the touch and stay cool to give you a functional cooking experience. The handles are oven safe up to 250 degrees Fahrenheit. overheat your pan, toxic fumes will not release. The core is made of aluminum to ensure good heat conduction and even heat distribution across the surface of the pans. Even though the set is dishwasher safe, I would recommend you wash it by hand just to avoid scratching the ceramic surface. 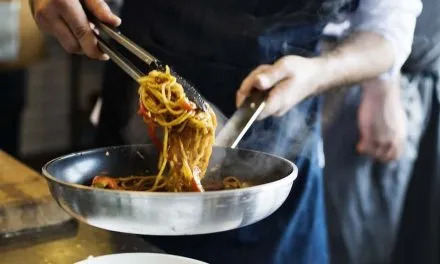 Make sure you use a little bit of oil before you start cooking anything and also use nylon or wooden utensils to increase the life of your cookware. See our full review of GreenLife Cookware Collections here. This Red Copper ceramic non-stick cookware set is a beauty! The copper finish gives it an elegant look and feel and the ceramic coating makes cooking and clean up a breeze. The surface is supposed to be scratch resistant but like with any non-stick pan, it’s best to not use any metal spoons or utensils on it. The set includes an 8-inch fry pan, 10-inch fry pan with lid, 1.5-quart sauce pot with lid, 2.5-quart sauce pot with lid, 6-quart sauce pot with lid, and an aluminum steamer insert. Each pot has a beautiful copper infused ceramic coating that is free from PFOA and PFTE. The core is made of aluminum which is one of the best conductors of heat and is the number one choice for cookware cores. It’s safe to use in the oven if you are using temperatures at or below 500 degrees Fahrenheit. However, the lids are not oven safe and the metal handles may become hot when cooking, so be careful when handling the cookware after cooking. Even though it is claimed to be dishwasher safe, you should hand wash these pans with mild soap and dry them with a towel for optimum life. If you season it as per the manufacturer’s instructions in the oven before using, the food will absolutely not stick to the surface. You can even skip oil when cooking or just add a little bit for the flavor. Red Copper cookware comes with a lifetime replacement warranty but if you want to claim the warranty, it does come with a minimal service charge. At the end of the day, any of these would make a great addition to your kitchen since they are all considered one of the best ceramic cookware options for gas stoves. 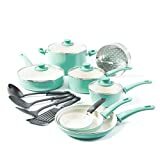 If you are looking for a low budget option you should go for the Cook n Home set but if you are more of a kitchen connoisseur looking to try out heavy duty techniques and recipes, the WearEver should be your go-to choice.